To start with, his name, pronounced ‘Derry’, is one that few people have seen before. Then there’s the fact that he’s been on quite a journey to get to where he is today as he embarks on his first fully-fledged solo tour. The only truly musical person in his family, Daoiri didn’t grow up with an instrument in his hand and only gained an interest in music when he was about 13. However, like many before him and many since, he was mesmerised the first time he saw Christy Moore. This inspired him to go out and buy himself a bodhran and he spent a few years playing in pubs and clubs around Dublin. But he soon had to put the brakes on any advancements to his music as he opted to become an electrician, a job he held for ten years. Daoiri admits that he thoroughly enjoyed this work but the call of traditional Irish music made it clear that he was meant to be following a different path. But instead of simply returning to the scene in Dublin, he became the thinking man’s musician and gained a formal education in his passion. “I left school at an early age and never thought about going to college, but when I was about 25 or 26 years old, I decided to give it a crack,” he said. He started out at Ballyfermont College in Dublin where he studied for a Diploma in Irish Traditional Music. “I got to meet Alan Doherty, the fantastic flute player who now goes under Aldoc,” Daoiri added. “I was also working with people like Pauline Scanlon, Karen Tweed, Brian Kelly and so on, which was a great experience. “I played a lot of music while I was out there, as you’d expect, and I recorded a CD. The hard work didn’t stop there, however, and Daoiri went on to study for two years in Dundalk, Co. Louth, where he gained a degree in Applied Music under the mentorship of Len Graham. He then completed his formal musical education at the University of Limerick, leaving with a Masters in Irish Traditional Performance Music. Speaking about his decision to study, he said: “I would absolutely recommend going back to college or gaining any kind of formal education in music. “It gives you a completely fresh approach to things and you learn some invaluable stuff that can only serve to benefit you. 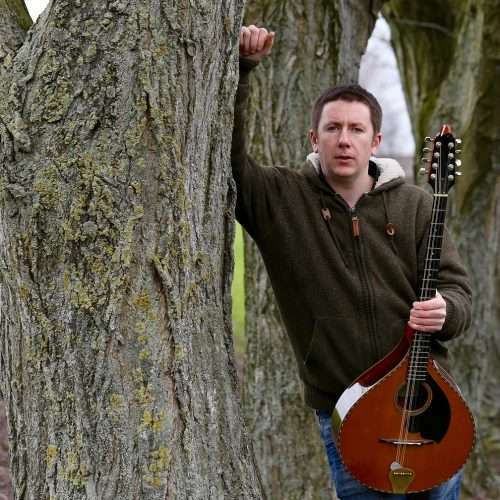 Daoiri is playing a host of dates around the UK until May 22 before taking part in various folk festivals around Europe throughout the summer. He recently recorded a new album with his band Four Winds, while his latest solo album will be released in October. This entry was posted in Irish Music, News. Bookmark the permalink.